Putting the Bar In Bargain! At Halstead, we’re all about giving you the best selection for the best price! 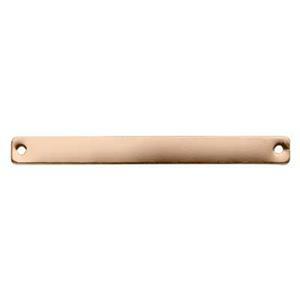 The GFR26112 is just that – a bargain of a 14/20 Rose Gold Filled – 24 gauge Bar Link. This one has two 1mm inside diameter holes already drilled for you. They’re just waiting for you to emBark on a new look for your jewelry design!